at CONNECTING POINT OF PARK CITIES, we believe that by providing our “teammates” with engaging and stimulating activities such as art, music, visiting museums, vocational opportunities, and experiencing the feeling of community, lives are greatly enhanced. We dream of a day when society recognizes that all adults of all abilities have purpose and value. 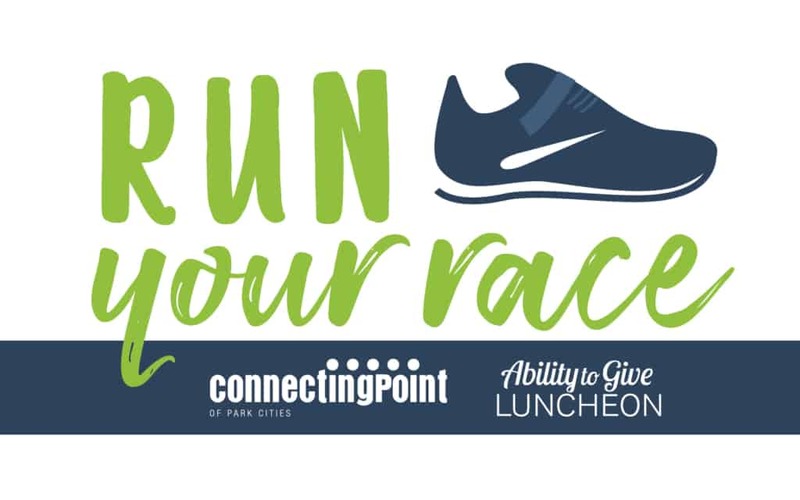 Connecting Point of Park Cities provides an impactful day program for adults with disabilities by fostering independence through educational, social, recreational and vocational initiatives and connecting them to opportunities to volunteer. A dynamic day program for adults with special needs. The Connecting Point team is delighted to announce that Justin Gallegos will be this year’s honored guest at the sixth annual luncheon on April 12, 2019. Together we will learn to Run Your Race, no matter your ability! Justin and his father, Brent, will be interviewed by Dale Hansen, WFAA Channel 8 weeknight sports anchor and host of the Sunday night Dale Hansen’s Sports Special. Table sponsorships are expected to sell quickly, so please reserve your table today.